Rye Malt isn't just for rye beer styles. 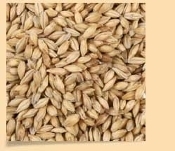 Although brewing a traditional rye beer is exceptionally rewarding, try adding Rye Malt to light- and medium-colored and flavored beers for complexity. Or fire up your new distillery and use it to make a single malt whiskey.